A new paper led by Kathryn Neugent, a second-year grad student and member of the UW Massive Stars research group, has just been accepted for publication in the Astronomical Journal! The paper explores the binary fraction of red supergiants, a population that is surprisingly poorly understood but crucial when talking about massive stars in binaries evolve and interact. Kathryn’s research determined the types of stars most likely to be RSG companions (verdict: mostly B stars! 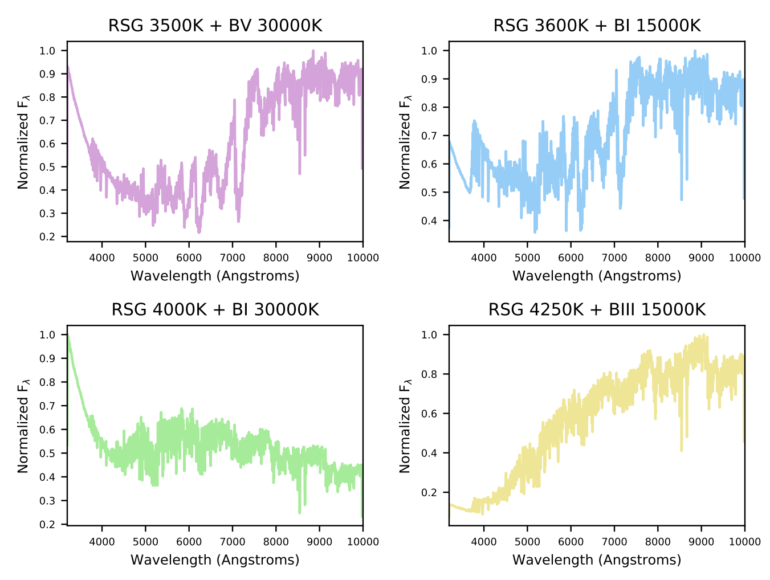 ), simulated the spectra of these binary systems, and developed a new set of photometric criteria that can be used to identify RSG+B star binaries. Follow-up work on this further refining those criteria and then expanding these techniques will be coming in Kathryn’s future work! Check out the in-press version of the paper on arXiv to learn more about the results!